Thermaxx removable insulated water meter covers can protect water meters from breaking due to freezing and save you money and hassle in the long run. Used to measure volume of water usage, water meters play a critical part in water billing. 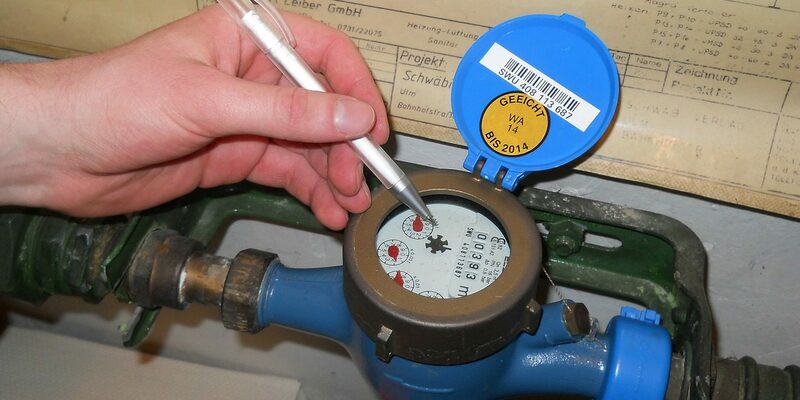 Water meters are the device typically used to track consumption of water by water providers for billing purposes. Water meters may also be installed by building owners or facility managers to track usage of individual tenants or units, a process called sub-metering. Facility owners or managers may also install meters for their own water-consumption monitoring or to verify readings by utility companies. The assignment of responsibility of ensuring a water meter is working properly varies according to local laws and ordinances and individual contracts. There are two main types of water meters — displacement water meters and velocity meters. Velocity water meters such as like turbine meters measure usage based on speed of flow and are often used for larger facilities. Displacement meters (also called positive displacement or PD meters) are very accurate for low flow rates and are the more commonly seen type of water meter. Water meters are can be located either indoors or outdoors. Outdoor water meters are naturally at greater mercy of the elements and are more likely to break by freezing. 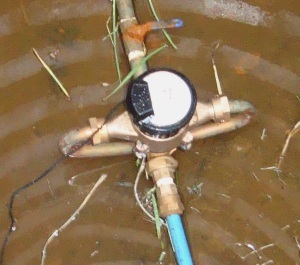 A broken or mis-calibrated meter can drastically increase costs for either the water user or provider and can also cause undesired disputes. In addition, meters can be quite expensive to replace. Insulating water meters will reduce risk of breakage and damage. The ideal insulation solution is usually removable water meter covers because meters often need accessed for calibration, monitoring, and maintenance. Heated water meter insulation may be recommended if the climate is extremely cold, volatile, or for high flow meters where the cost of replacement or failure is very high. Due to the electricity cost and practical concerns, properly calibrated heat tracing is favored over obtrusive, impractical, or imprecise heating. In addition, a properly sized jacket is recommended over a loose one-size-fits-all meter box or blanket to prevent frozen “patches”. 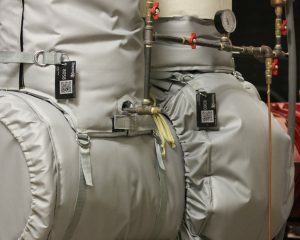 Heat trace ready: Our anti-freeze jackets come with belt loops sewn on the inside, so they are ready for installation of heat tracing if needed. Thermaxx does not supply heat trace but can recommend distributors in your area. Additionally, we can easily customize water meter covers for your exact needs. For example, some users don’t require belt loops but instead require a water meter box that fits snugly over their existing heat trace. 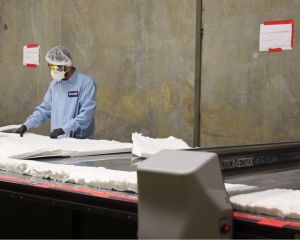 The right fit: We produce insulated meter boxes for exact fit for many models, and our skilled technicians and engineers also design jackets to exact specifications for custom jobs. Convenient: Our water meter covers are designed to be able to be removed and replaced easily and quickly by any personnel. A simple closure system of velcro, D-rings, and seal-flaps accomplishes this purpose. 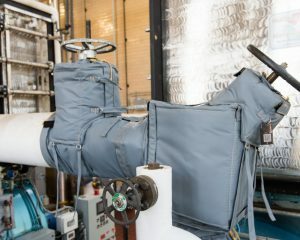 In addition, when heat tracing is installed, the heat tracing comes off with the jacket when the jacket is removed for the ultimate in convenience. Cost effective: We’ll provide you with water meter covers that work best for your climate, needs, and meter. Size, shape, and thickness are tailored to your needs. Being able to buy exactly the jacket you need means you don’t have to pay for un-needed insulation. 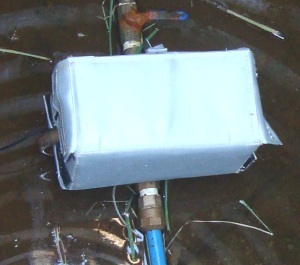 High quality: Our insulated water meter boxes are meticulously designed and crafted to remain effective under harsh conditions for extended periods of time. As with all Thermaxx Jackets, we put our money where our mouth is and stand behind our water meter insulation with a 5 year guarantee. Ready for a quote or have questions? 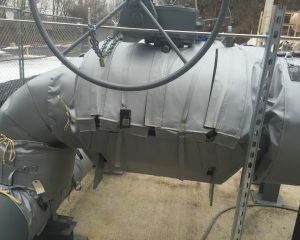 We’re happy to answer any questions you have about our water meter insulation covers or any of our many other removable insulation solutions for your facility. Contact us for more information.